The Finnish telecommunication giant Nokia is currently the largest mobile manufacturer in the world. Nokia mobile currently hold around 34 % of global mobile market share. We have reviewed almost all recent Nokia releases, both in price and specifications. Now today we are making an archive of these posts so that you can access them easily from the navigation menu. This page will be updated as soon as new Nokia devices are released. Update: Now We have a section of Nokia phones in Mobiclue.com. Checkout the specifications and price of Nokia phones here. 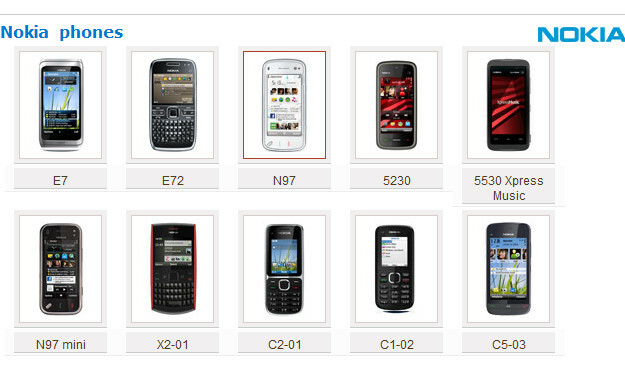 Compare Nokia phone with other devices here.